Lucknow: In case you are looking on to lose your weight, you have an amazing opportunity lined up. The nine-day Navratri fasting is the best time to lose weight and detox your body. People from the northern and western India are gearing up for the 9 day Navratri celebration. 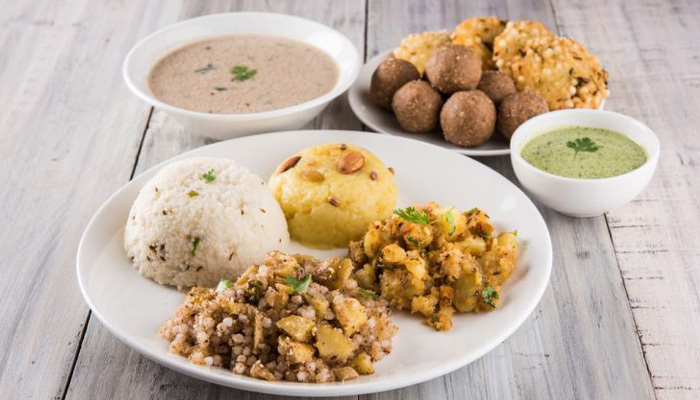 We have here six easy weight loss tips to include in your Navratri diet plan. Having vegetables will keep you fuller for longer and thus stop you from binge eating. You can eat vegetable salads or vegetable soup. Some people think fasting means not eating food and starving themselves. Doing so drops the blood glucose levels and takes away your energy. Instead of eating just one heavy meal one time, eat three-four small meals throughout the day. With Navratri comes the peak summer season. Not having water can make you feel hungry and weak while you are fasting. If you do not like plain water, opt for nimbu pani, coconut water, vegetables juice, fruit juice to keep yourself hydrated. Feeling thirsty is the first sign of dehydration, so have water even before you start to feel thirsty. Fasting can make you feel tired and lazy and might want to make you rest more and move less. But this is not the right thing to do. Having a balanced diet won’t make you feel weak, instead, it will make you feel energetic and happy. So, apart from keeping an eye on what you eat, do not forget to indulge in some physical exercise every day. Packaged food is so readily and easily available that we skip taking the pain of cooking ourselves. And this is especially true when it comes to snacks. Opting for a healthier homemade snack plays a major role in weight loss. Instead of the market made vrat chips, laddus, vadas and more you can roast some peanuts, makhana or chanas at home and have them instead. Instead of opting for full cream milk or cheese, go for low fat cream, cheese and milk. Even the low fat options provide you with essential nutrients like protein, amino-acids and minerals.